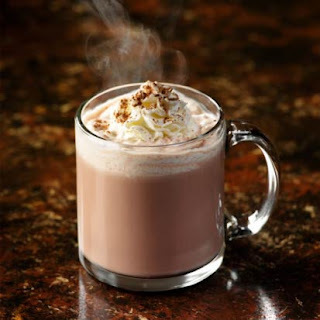 There is nothing more comforting when it’s cold or nasty outside than a cup of hot cocoa. Using a high-grade, unsweetened dark chocolate powder gives this hot cocoa a rich, deeply intense, chocolate flavor without the Calories. I recommend using a 60 to 70% unsweetened dark cocoa powder. You can readily find and purchase high-grade cocoa powder at Costco (or try a restaurant supply store) for a reasonable price, and cocoa lasts forever. 1. Heat cocoa powder, vanilla, milk, and 3 packets of Spenda or sucralose in a small saucepan over medium low heat. Stir well with a small whisk until your desired temperature, making sure not to bring to boil. 2. Pour into cup. *You may add 1 T of nonfat real dairy whipped topping, as it is a free food. Serving size: ½ cup. Nutrition Content: 105 Calories, 9.5g fat, 7g protein, 11 carbohydrates, 70g sodium. For more high protein, low-fat, and low Calorie healthy recipes, join my free, Make Healthy A Lifestyle online fitness club at www.LindaLaRue.com/club.html.